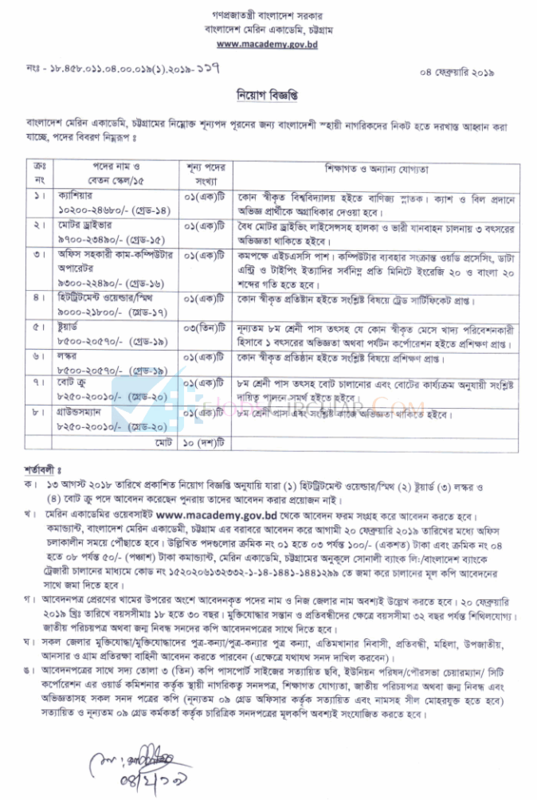 Bangladesh Marine Academy macademy published New job vacancy Notice at www.macademy.gov.bd. 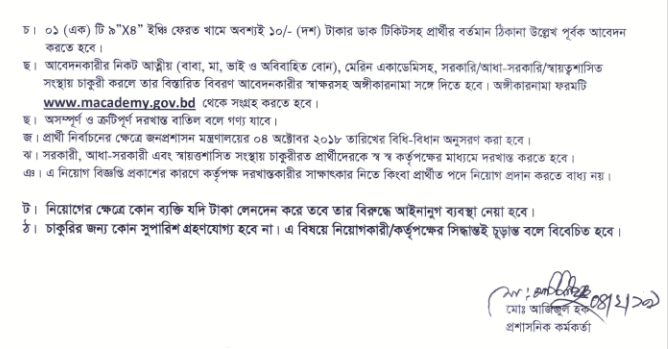 macademy Job Circular offer vacancy in this post. JSC/JDC, SSC, HSC And Graduate Student also apply this macademy govt circular 2019. You must have to apply before 20 February 2019. If You want to apply Bangladesh Marine Academy macademy govt job circular through online you have to visit there official Teletalk website . For Next Updates about macademy Job circular Vacancy Notice,Exam Result or Admit card Download stay with us. 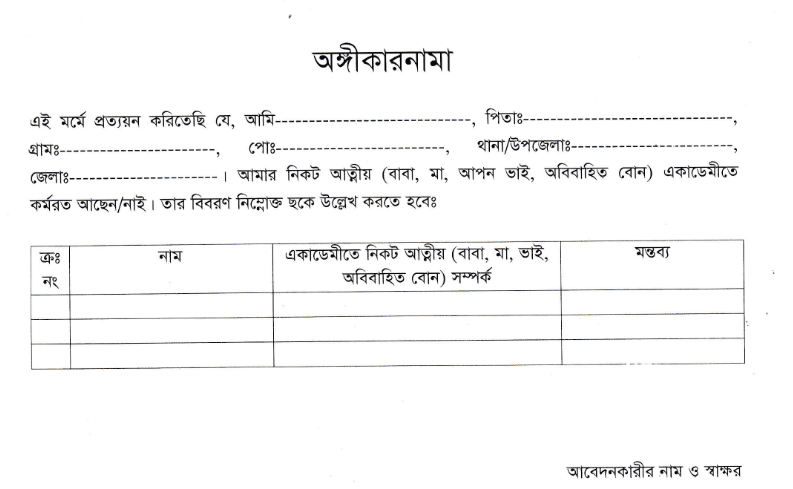 This entry was posted in Govt Jobs 2019, HSC Pass Jobs, JSC Pass Jobs and tagged Bangladesh Marine Academy Job Circular 2019, Govt. 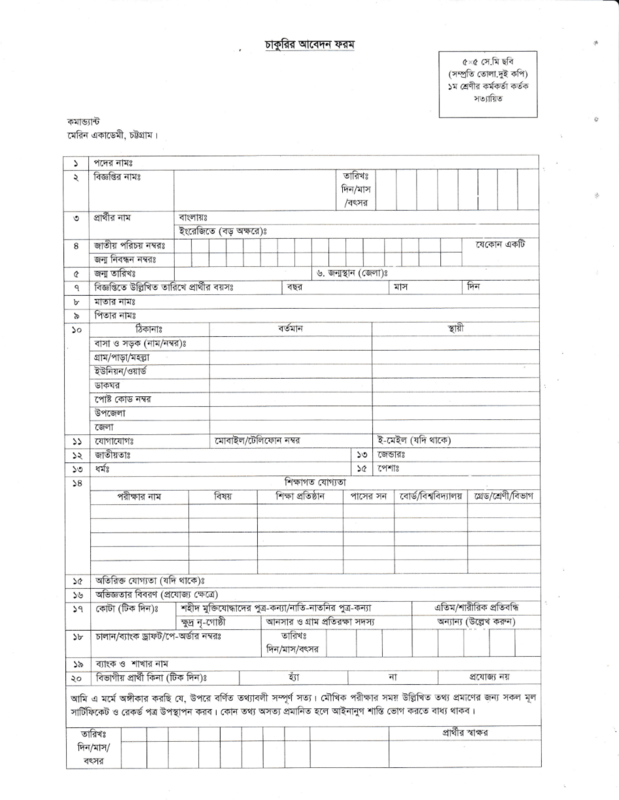 jobs, macademy Job Circular 2019 - www.macademy.gov.bd by Raju Ahmed. Bookmark the permalink.